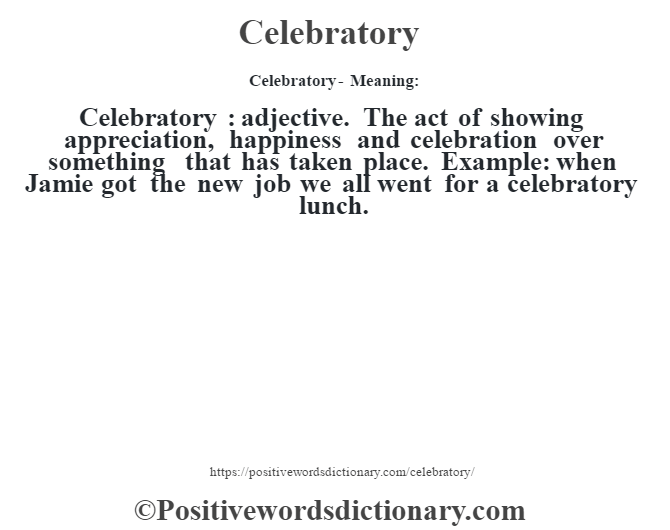 Celebratory : adjective. The act of showing appreciation, happiness and celebration over something that has taken place. Example: when Jamie got the new job we all went for a celebratory lunch.